If you’re having trouble with your WordPress site, or have a question about your plan, please open up a ticket with our team. We are here for you 24×7 and are happy to help! Otherwise, if you need to cancel your hosting plan, we understand. 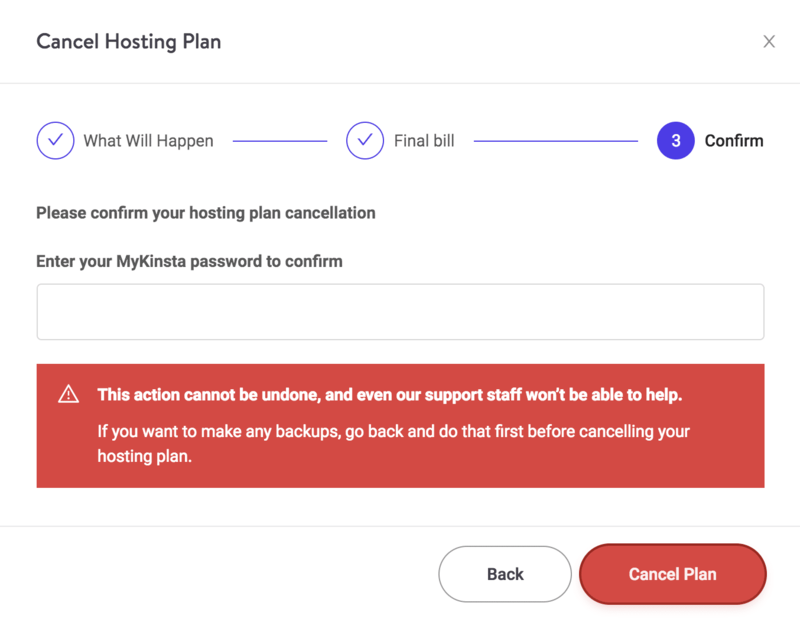 While we hate to see you go, we try to make every aspect of using Kinsta as easy as possible, from signing up to cancellation. Perhaps your project has ended, or you were simply testing Kinsta for a client. 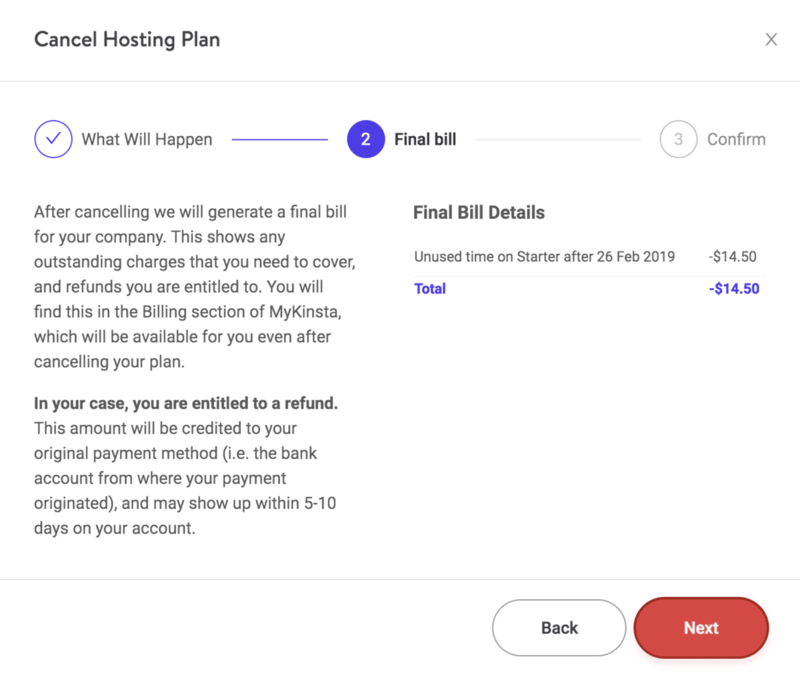 Whatever the reason, you can cancel your hosting plan at any time from within your MyKinsta dashboard. 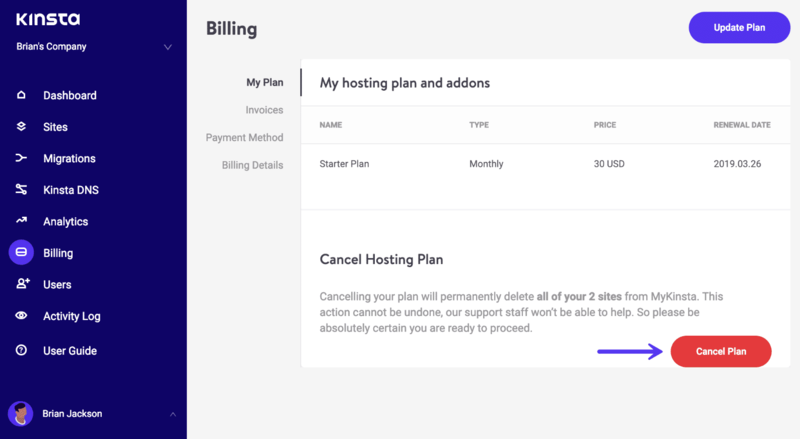 Follow the steps below on how to cancel your Kinsta hosting plan. Both your live and staging environments will be deleted for all of your WordPress sites. All of your Kinsta DNS records will be deleted. 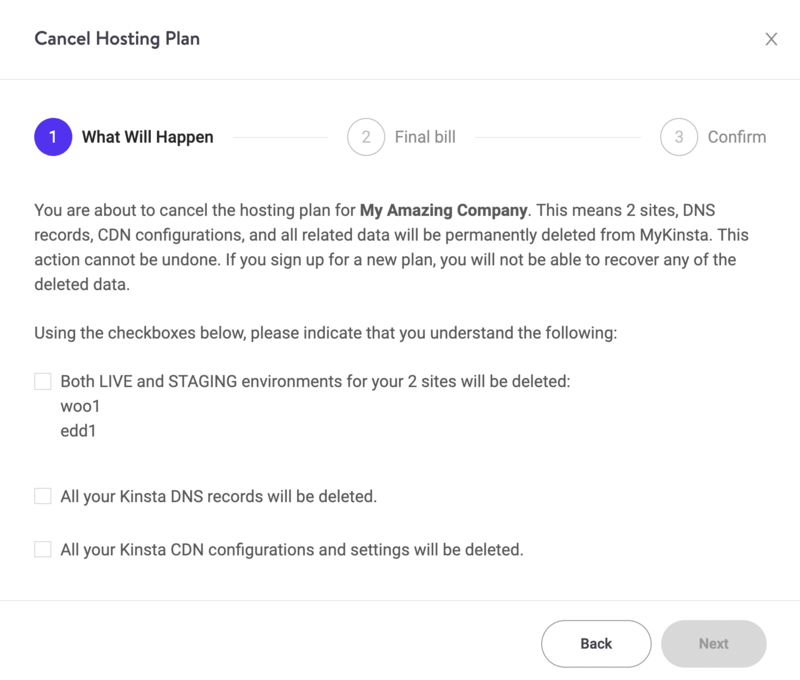 All of your Kinsta CDN configurations and settings will be deleted. After canceling, your final bill is automatically calculated. This could be outstanding charges or refunds you are entitled to. Kinsta has a 30-day money-back guarantee. Your plan will then be canceled. 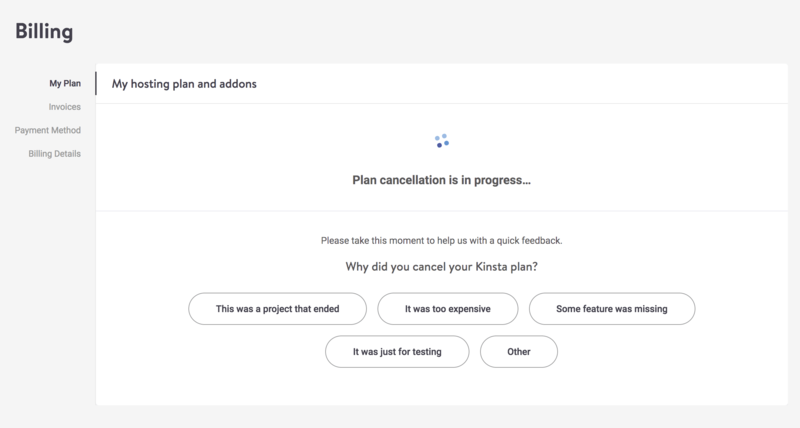 We’ll ask that you provide some feedback on why you are canceling your Kinsta hosting plan. We greatly appreciate you taking a few moments to fill this out for us. 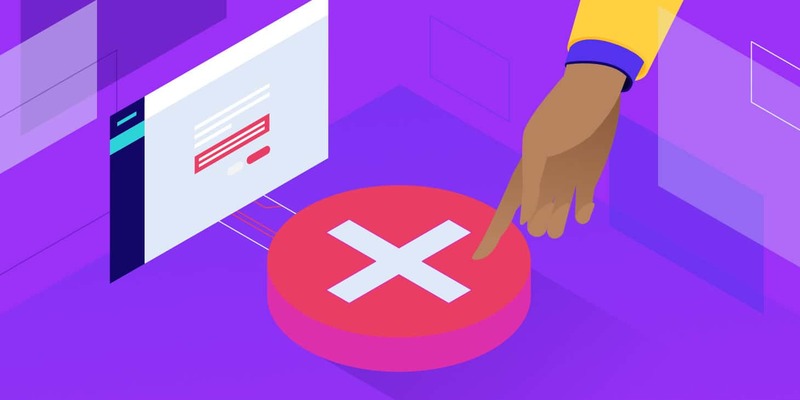 Kinsta was built from the ground up on user feedback, and we take all of it, even the negative, very seriously. This helps us improve our platform for everyone. If you’re on a custom plan or have any add-ons (Redis, hourly backups, etc. ), you can’t currently cancel your hosting plan. Our development team is working on improving this. However, you can still complete the steps above, and our team will receive the cancellation request and cancel your plan manually. → How do I Setup Google MX Records for Google Apps? → What Payment Methods Do You Accept?